Have you ever eaten aloe? I know, you’ve put it on a sunburn. But you really can eat it too (or drink it, in my case!). Let me tell you why, and then show you two drinks I’ve made with it. Aloe is a member of the lily family, and is one of the healthiest veggies on the planet! The succulent leaves are filled with a gooey clear gel rich in sugars, and Sunfood says, “These healing long-chain sugars have been linked to Aloe’s historical use as an aid to immunity, digestion, and the liver. These polysaccharides act as a unifying force, synergistically combining the effects of Aloe’s nutritional components to activate even higher levels of healing. The gel of raw Aloe vera contains vitamins C and E, plus the minerals calcium, magnesium, zinc, selenium, and chromium, as well as antioxidants, fiber, amino acids, enzymes, sterols, and lignins.” You can also buy aloe leaves from Sunfood if you can’t find them in a local store (if you’re in my locale…go to Pittsford Wegmans to buy them in the produce section!). Aloe normalizes blood sugar (great for diabetes! ), and elevates antioxidant levels in the body. It’s great for the immune system and can be added to almost any raw dish–it’s slightly bitter, but not overpowering. You can use the gel as a moisturizer or as a relief for burns. The aloe gel is high in MSM, so my own personal belief is that it is good for tissue repair and joint health too! How do you prepare it for use? Cut off a piece and then filet it—take the gel out of the middle and use that. For the scrap pieces, use those on your skin for healing effects, and even for muscle and joint inflammation (I’ve been using it on my sore achilles). If you use it on your face, take advantage of the slightly rough surface of the inside of the leaf—gently massage the remnants of gel on the inside of the leaf of your scrap pieces directly on your face. 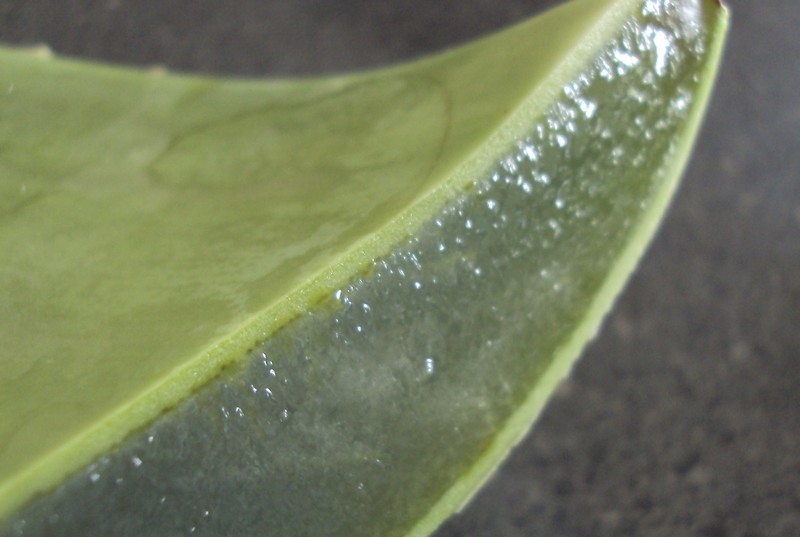 You’ll have kept the aloe leaf refrigerated, so not only are you getting an instant facial from the cool gel, but the mild roughness of the leaf is exfoliating dead skin cells off! The Gooey Gel---You'll filet this by trimming the edges and slicing off the green sides. Here are the two beverages. First, Aloe Cooler. This is refreshing on a hot day or after a light workout. It’s fizzy! 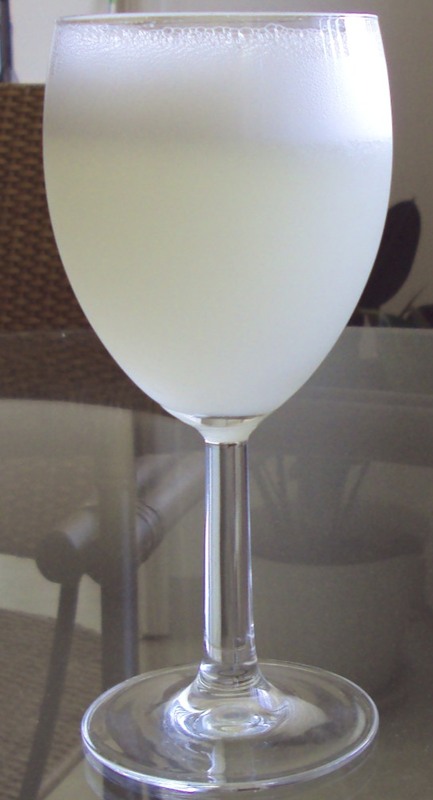 Aloe Cooler -- 3 inch chunk of aloe gel, juice from 1 lemon and 2 limes, coconut water (fermented or plain), stevia to taste, ice! 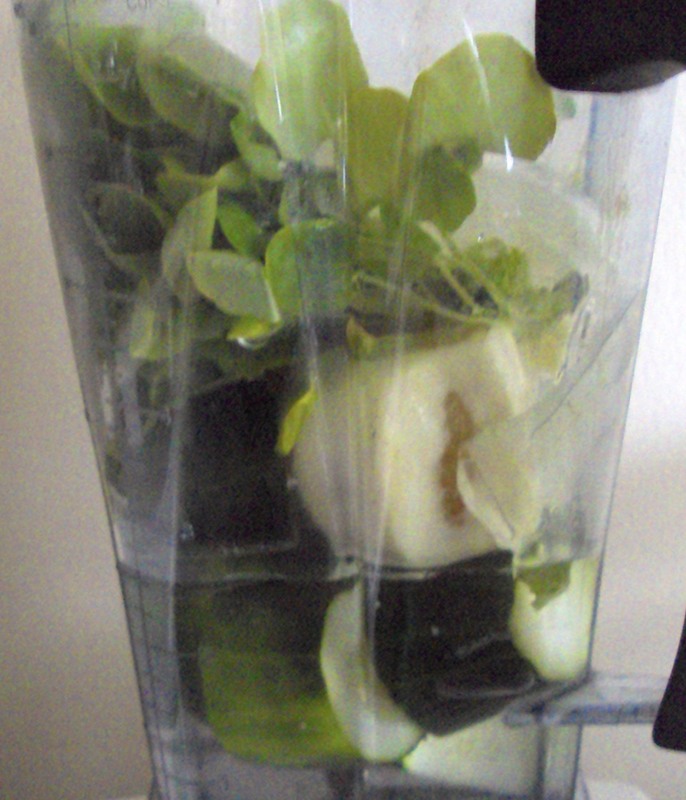 Second, Aloe Green Smoothie. This has many ingredients that will nourish and repair your skin, plus the super duper qualities of the greens and green powder. This is a great energizing breakfast! To be honest with you, I like the Aloe Cooler better—its more fizzy, light, and fun. 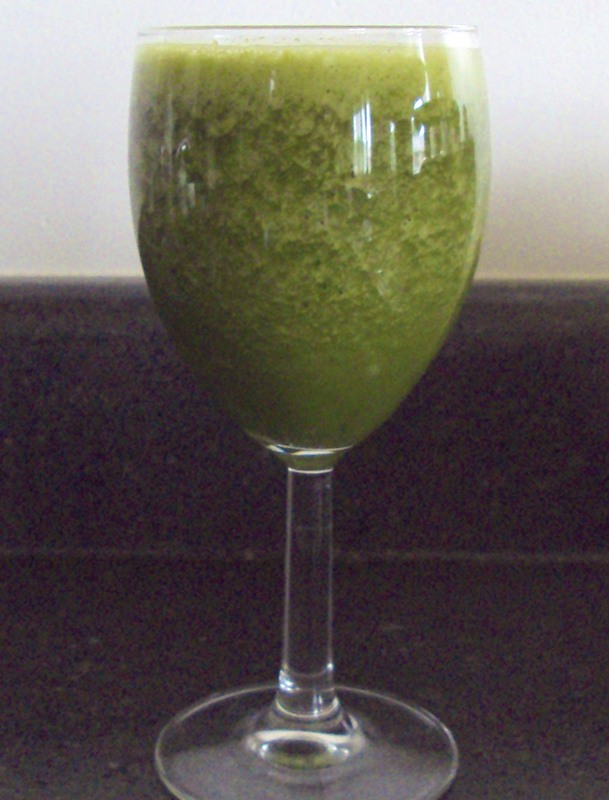 But in the green smoothie department, the Aloe Green Smoothie ranks in the top 3! I knew about already made and very high priced aloe vera juice, but I never thought to make some fresh myself. I guess it would be a great way to reap up all the health benefits without braking the bank! And your cooler looks amazingly refreshing. Something I cannot say from the gooey commercial aloe vera juice! I never thought of doing this myself until recently either. 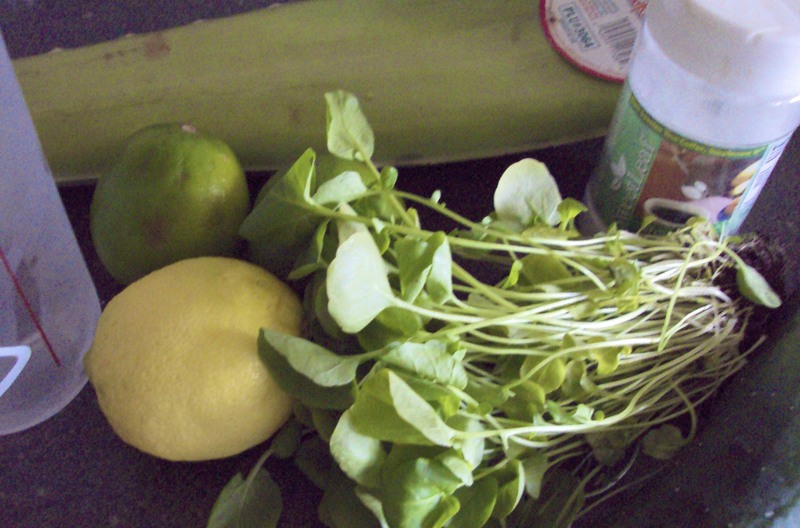 I had bought one of those “raw” commercial aloe drinks…and even choked it down for a while. It was awful!!! One aloe leaf goes for $2.99 in the place where I buy them, and it lasts for about a week if I use a little bit everyday (sometimes the leaves are smaller than others, but this is average). I definitely recommend this yummy drink! The aloe cooler looks AMAZING! I'm going to have to give that a try this week! Thanks for sharing your recipe! Next post: Take Your Shoes Off!